Turkish President Erdogan accuses opposition politicians of terrorism and treason. To resist is almost impossible, immediately, for a President insult threatens. Turkish opposition politicians under pressure: Kemal Kılıçdaroğlu is Chairman of the largest opposition party, the CHP and the government in Ankara is working to waive his immunity. 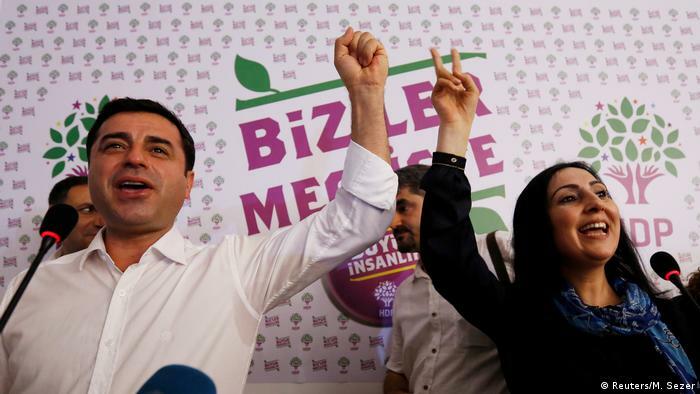 The two former Co-Chairman of the pro-Kurdish HDP, Selahattin Demirtaş and Figen Yüksekdağ, have lost their immunity, and to sit for more than two years in prison. 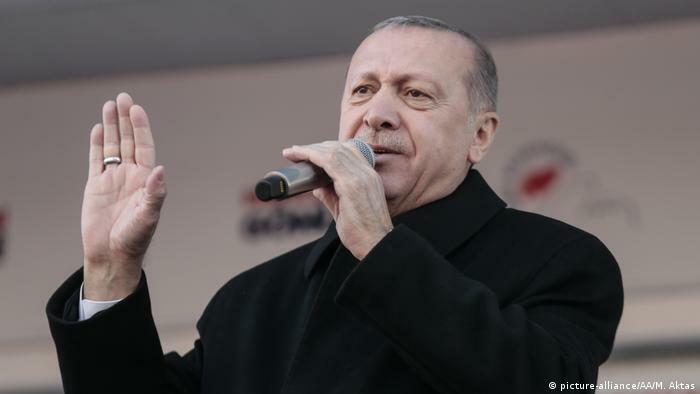 President Recep Tayyip Erdogan insulted the President of the party leadership in the election campaign before the local elections on October 31. March as a “terrorist”. These are the conditions prior to the first elections after the introduction of the presidential system in Turkey. President Erdogan, who is also the Chairman of the government party, the AKP, the Opposition and into the visor. And with no hand have action against Erdogan. The lawyer and CHP Deputy Mahmut Tanal makes it clear that Erdogan would pull as ACP Chairman, each time the “map of the presidential insult”: “Whether Mrs. akşener, Kılıçdaroğlu or Recep Tayyip Erdoğan himself – all three party leaders are. Now, if the ACP Chairman Mr. Kılıçdaroğlu and woman attacked Mrs. akşener sharp and criticized, but, Vice versa, if criticism says, ‘you insult the President’, it has nothing to do with equality,” says Tanal. Under the previous President’s actions for “insulting the President” were rather rare – under Erdogan, they have grown explosively. Legal action against the President or his government to proceed, by contrast, is far more difficult to nearly impossible. Against a member of the government proceedings an investigation is initiated, you must agree to the Parliament with a simple majority. However, Erdogan, with the support of the ultra-nationalist MHP has the absolute majority of the votes in the Parliament. So criminal charges against members of the government are not either completed, or the required investigations not be initiated. The end of freedom of expression? Under the control of the government, over 95 percent of the Turkish media, Tanrıkulu. At the same time it increases the pressure on foreign journalists by not renewed their accreditation . Particularly, the HDP is in Erdogan’s crosshair, puts the party on a regular basis in the terrorist corner. Neither lawsuits against government officials against the media, who want to weaken the defamation campaigns, the HDP, had been a success. The HDp-spokesperson for law and human rights Ayşe Acer Başaran complained that all of the Pronouncements of the government would include to your party to “hatred, insult and threat”. “It seems now common practice to criminalize the HDP, to isolate and make you literally unable to function,” said Başaran. President Erdogan emphasized in his Speeches that “HDP is equal to PKK equal to YPG/PYD” (PKK: banned Kurdistan workers ‘ party; YPG: the Kurdish militia in Syria conflict; PYD: Kurdish party in Syria – ed.) and claimed then that he had not referred to the voters of the HDP as a terrorist, but the top management. The trial against the two detainees HDP politician Selahattin Demirtaş and Figen Yüksekdağ accused of “membership in a terrorist Association” goes on, meanwhile. The parliamentary immunity of many HDP member of Parliament has been repealed, so that the possible sentences are now opened door. Many opposition politicians, who enjoy a parliamentary immunity, are under pressure, as in the Parliament against them is determined. 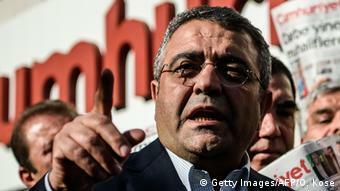 The CHP Deputy Mahmut Tanal said erdoğan’s accusations against the Opposition were just before the municipal elections his tactics. The judiciary will swung as a “political cudgel” on the Opposition: “The investigation reports to Parliament are a fact of life. If my immunity is lifted, I wander down to the jail. That’s for sure. The sword of Damocles hovers always about us. You want to Silence us. But what ever may be the price: We will continue to Express our opinion,” says Tanal. Sezgin Tanrıkulu, the CHP is not convinced that the polarizing rhetoric of the government subside after the elections, but on the contrary will increase. “You don’t want on the topics that are in the Turkey is really important, is spoken. These are the economy, internal peace, and immigration.” According to the assessment of Tanrıkulu Erdogan is after the 31. March are trying to do is to muzzle the Opposition by excluding them.